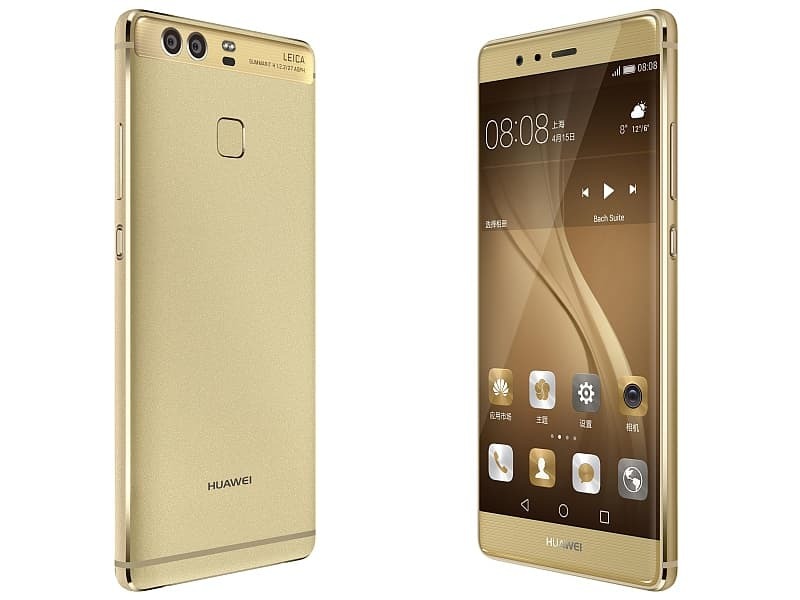 Huawei’s P9 smartphone features a dual rear camera setup, co-engineered with German optics major Leica. The device sports a metal unibody design which seamlessly merges with the front panel that has 2.5 D glass and mildly rounded corners. It runs on Android 6.0 Marshmallow with company's EMUI 4.1 skin on top, and a 5.2-inch full-HD (1080 x 1920 pixels) IPS LCD display. On offer also is sleek and compact design of the smartphone with the latest home-grown Kirin 955 octa-core processor paired with 3 GB RAM for an enhanced performance. While the global launch included a 4 GB of RAM/ 64 GB of inbuilt storage variant, it is absent from India launch. The variant launched in India bears 32 GB of inbuilt storage, which is expandable via microSD card for up to 128 GB. Housing a 3000 mAh battery P9 will be available in Ceramic White, Prestige Gold, and Titanium Grey color variants in the country. The USP of the smartphone device, on photography front includes two 12-megapixel rear cameras with f/2.2 apertures - with one camera capturing color images, and the other monochrome images. The front cameras include an 8 MP snapper. On connectivity front the options comprise of 4G LTE, Wi-Fi 802.11 a/b/g/n/ac, Bluetooth v4.1, Infrared, USB Type-C and a virtual triple antenna for better convenience and handling. Huawei P9 will be available for sale via online retailer Flipkart starting 3 pm IST from Wednesday itself. This is my preferred mobile after iPhone. Thanks for giving great insight about its technicalities.